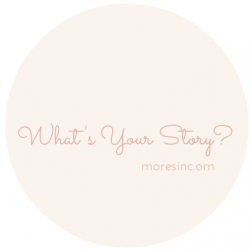 Contact Us – moreStories. moreSmiles. moreSharing. You’re probably considering hiring a social media marketing consultant and wondering how much it will cost and what will be involved. I’ll do my best to give you an idea, but keep in mind that our fees will vary depending on exactly what marketing services you need. $1000 per month is the starting point for social media management of one network for a small business (such as managing your Facebook Page). The cost will increase depending on the size of your follower base and frequency of posting. A basic inbound marketing package, including weekly blog posts, SEO, social sharing, lead capture and reporting will start at $3500 per month. If you read our story and are now ready to tell your story and share it with the world, we are ready to help. Please fill out the form below and we will respond within 24 hours. Remember to Follow on Twitter. Pingback: Stress-free Family Yearbook « moreSinc. moreStories. moreSmiles. moreSharing.